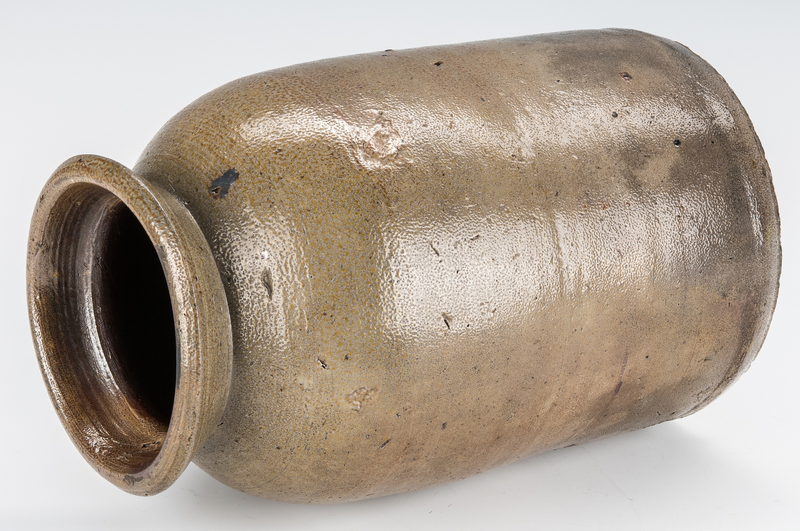 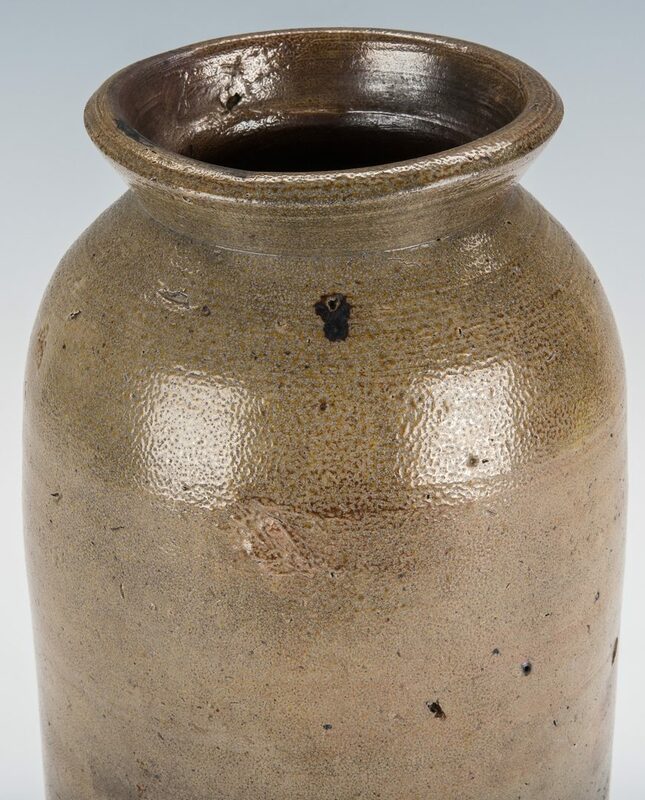 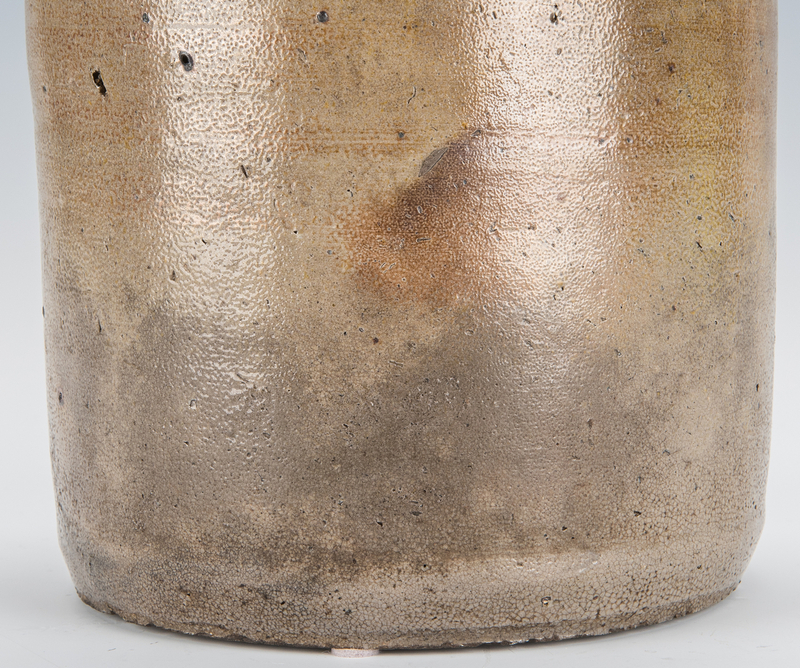 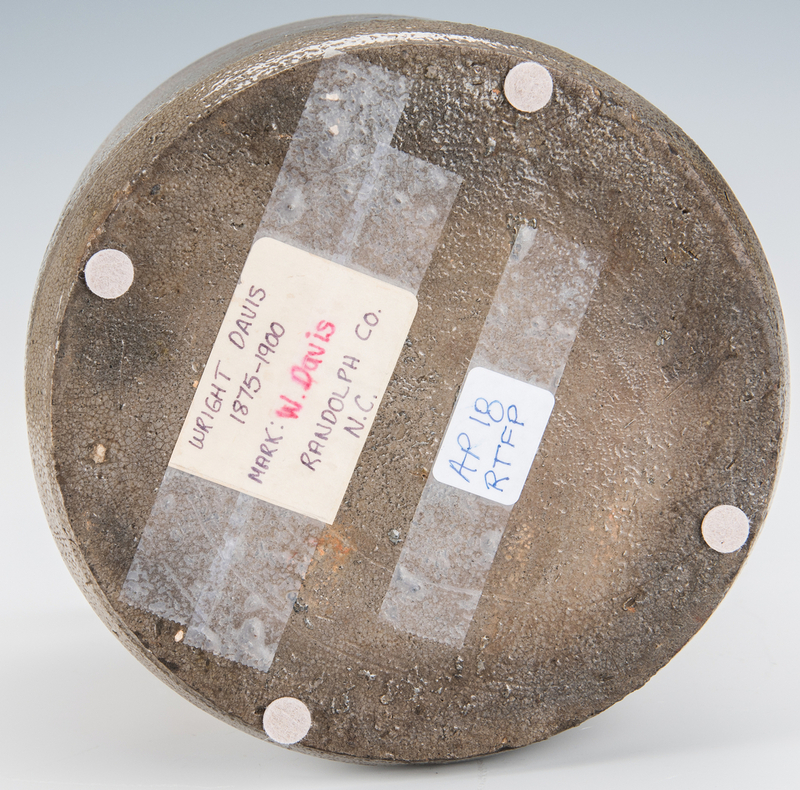 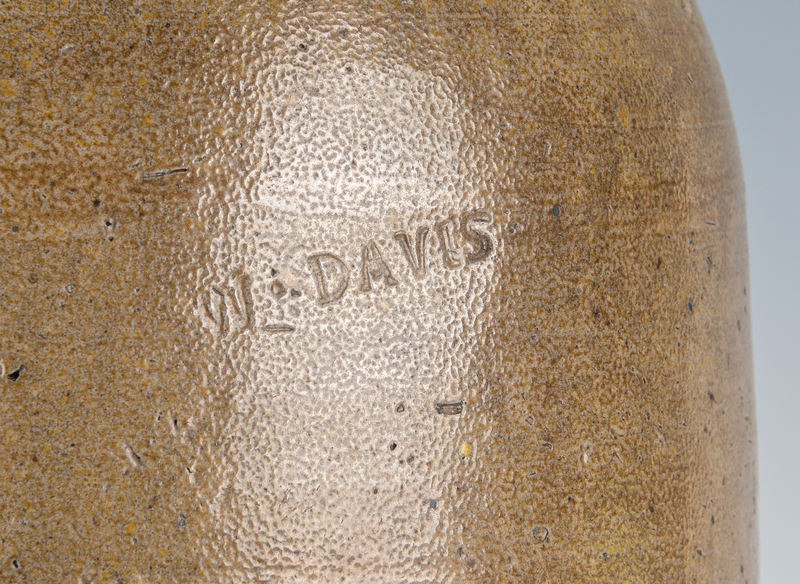 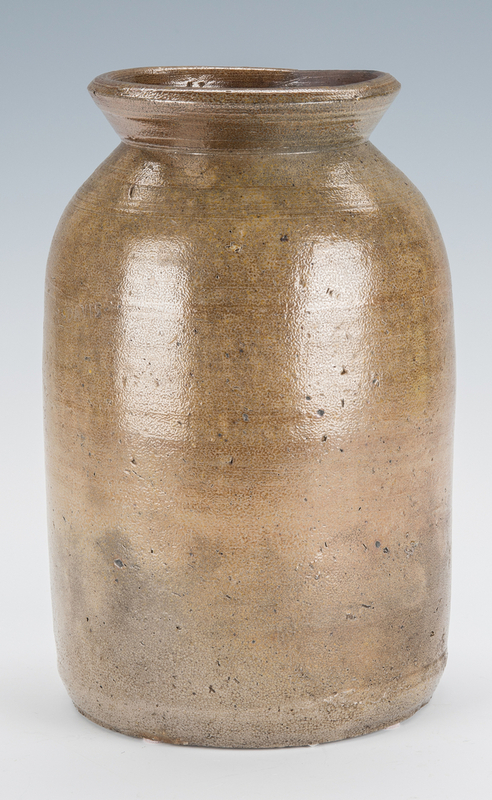 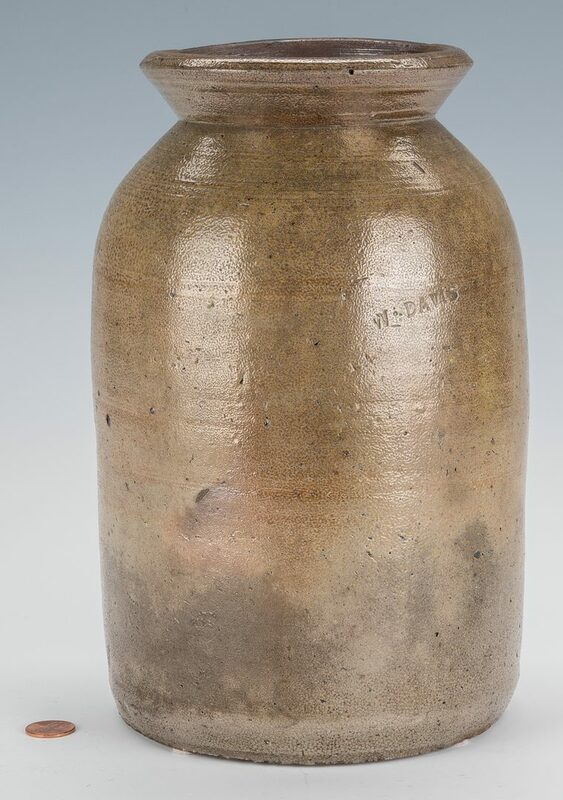 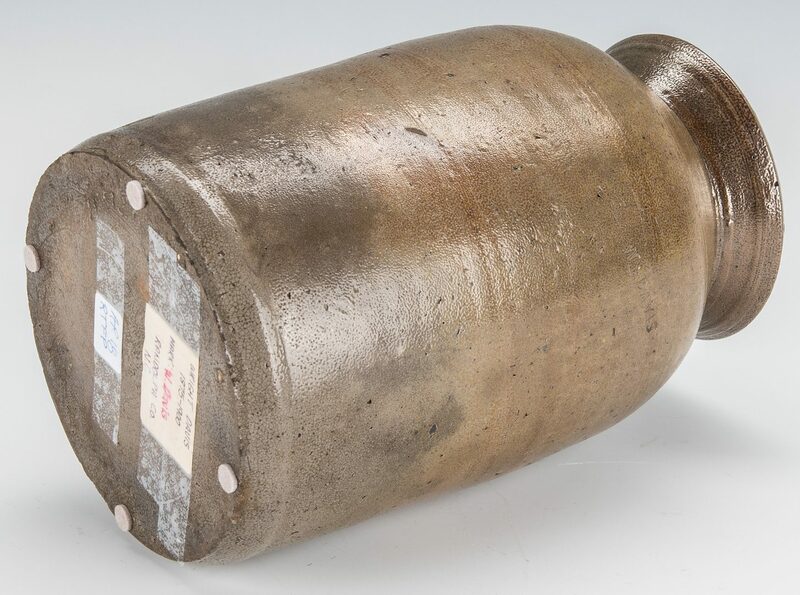 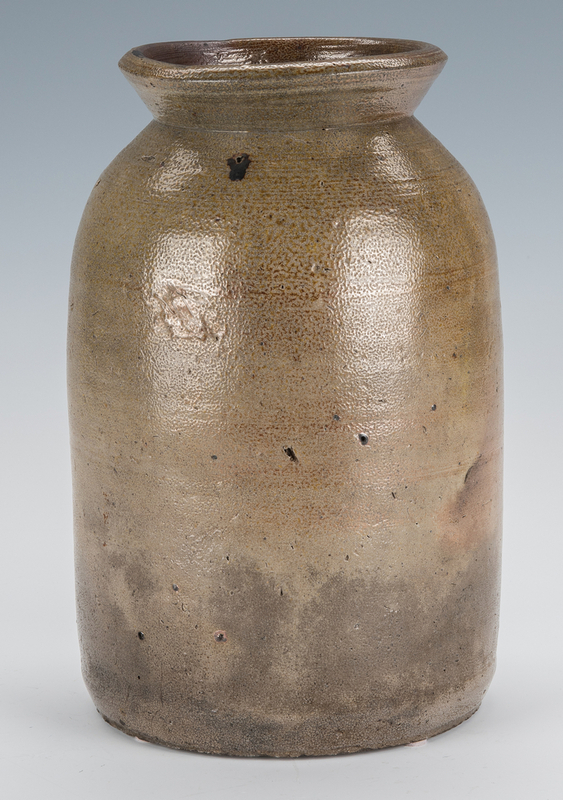 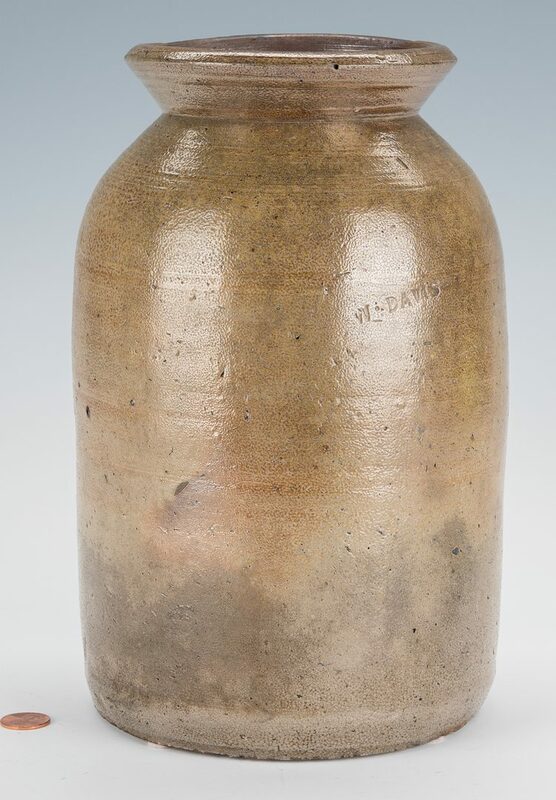 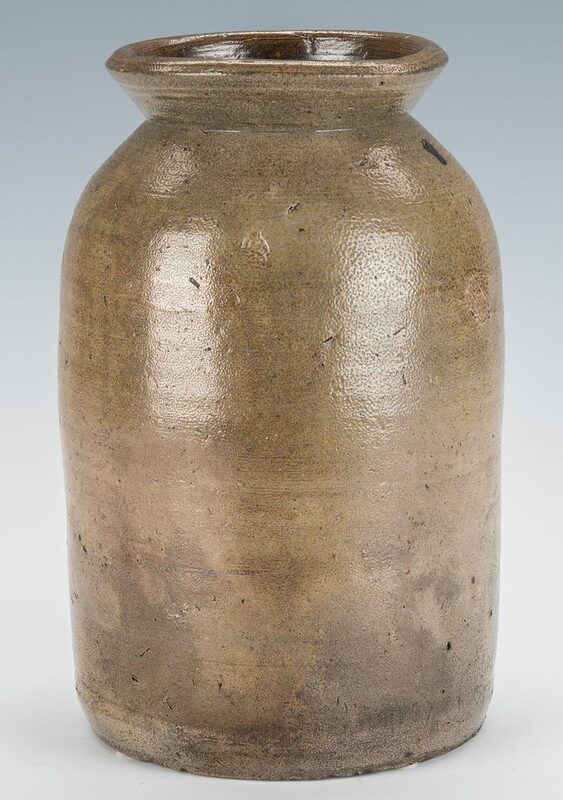 North Carolina stoneware pottery preserving jar by Wright Davis (Randolf County, 1838-1928) with flaring rim, straight sides and salt glaze, stamped "W. Davis" upper shoulder. 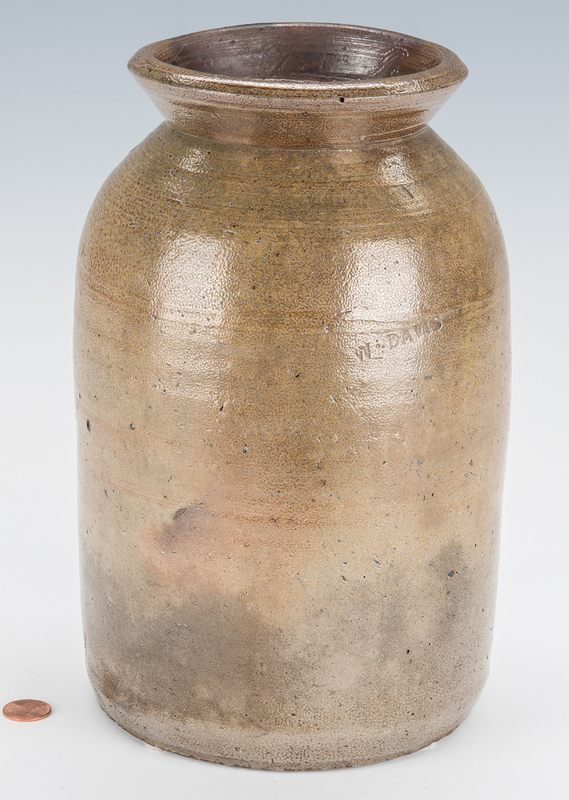 10" H. Provenance: Private Knoxville, TN collection. 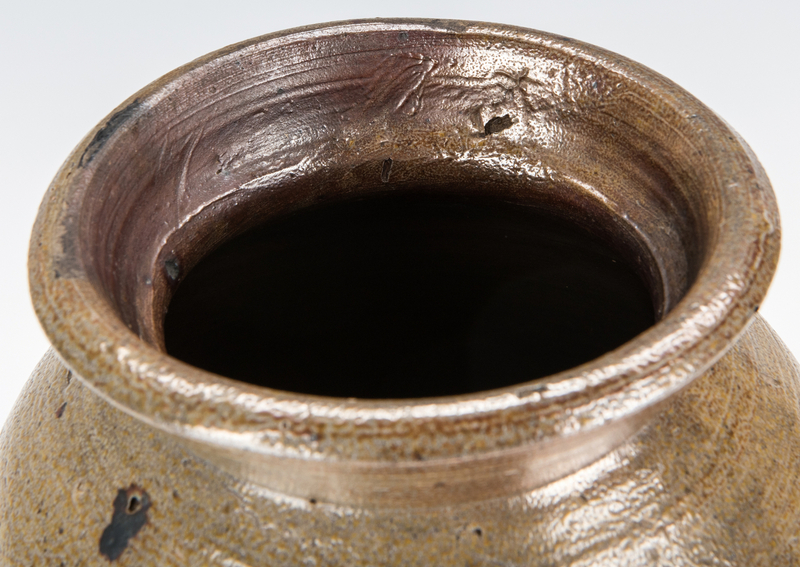 CONDITION: Some scattered firing imperfections, overall very good condition.